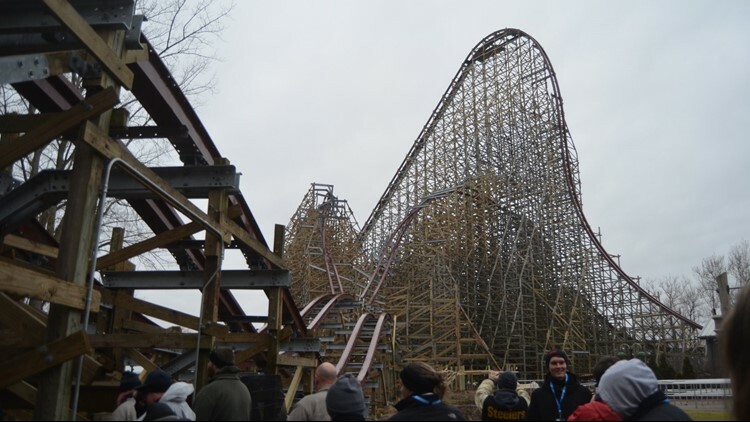 Steel Vengeance has welcomed its first riders at Cedar Point — and video of the entire roller coaster experience has finally been unleashed! In the new footage, Cedar Point’s Vice President / General Manager, Jason McClure, climbs aboard Steel Vengeance with park spokesperson Tony Clark. Although the roller coaster flips riders upside down four times, there are no over-the-shoulder restraints.